Optikos celebrates 35 years of metrology and optical product development in 2017. Throughout our three-and-a-half decades of optical product design and development, Optikos innovations have been far-reaching. From pioneering the use of VideoMTF® in lens metrology to advancing client projects in virtual reality, medical devices and diagnostics, aerospace and defense, automotive imaging, consumer products, and more. We continue to develop advanced metrology products in our new R&D center and provide complete testing services in our expanded IQ Lab™ facility. Our expert engineering and contract manufacturing ensure that client products are not only made possible and producible, but also commercially viable in the marketplace. 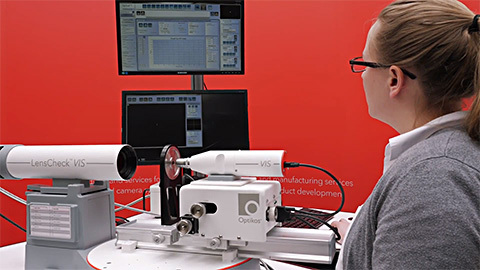 The Optikos LensCheck Lens Measurement Instrument is a cost-effective solution to your production and prototype lens qualification needs.